Product prices and availability are accurate as of 2019-03-20 12:14:08 EDT and are subject to change. Any price and availability information displayed on http://www.amazon.com/ at the time of purchase will apply to the purchase of this product. They have a wonderful sweet, fruity fragrance and appear on long, airy stems. Blended pink, orange and apricot colored blooms are delicously fragrant. 25 Seeds Vines grow to 6 feet tall. 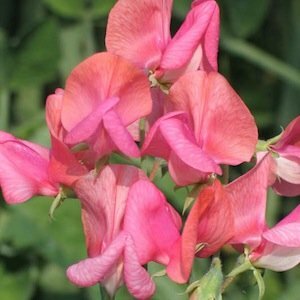 An extraordinary heirloom, first introduced in 1901, and by 1906 was the most popular sweet pea for cutting. Grows 6 feet tall. Zones: 3-9 A tribute to the famous garden writer Miss Ellen Willmott.